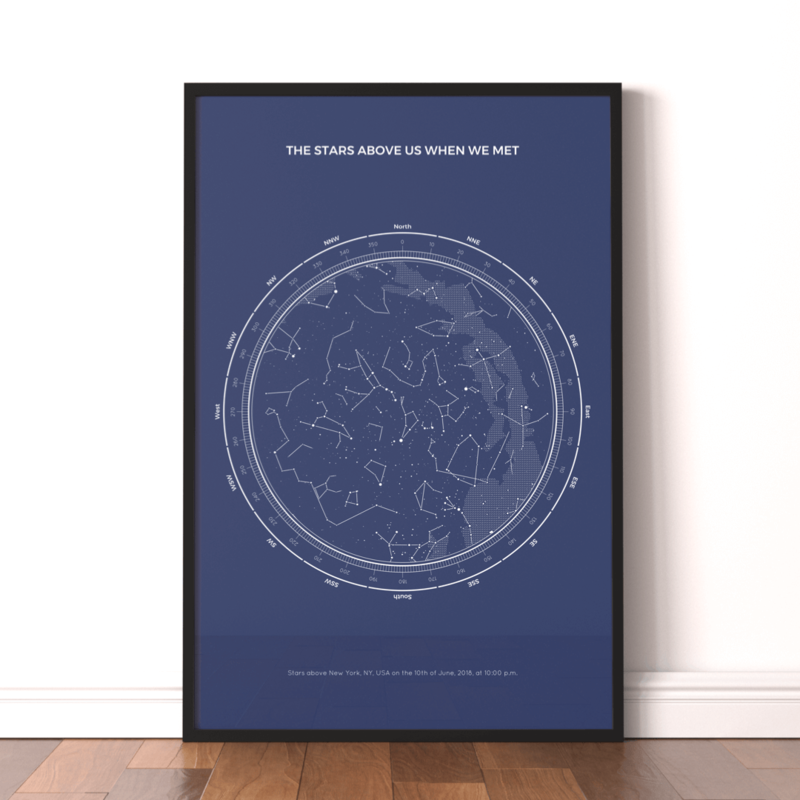 We make beautifully designed star maps that show the unique alignment of the stars in a place and time chosen by you. Birthday, engagement, when you first met... the stars never look the same twice. dayanne_br Thank you @sudapl for adding a spark of magic in every moment we spend together. 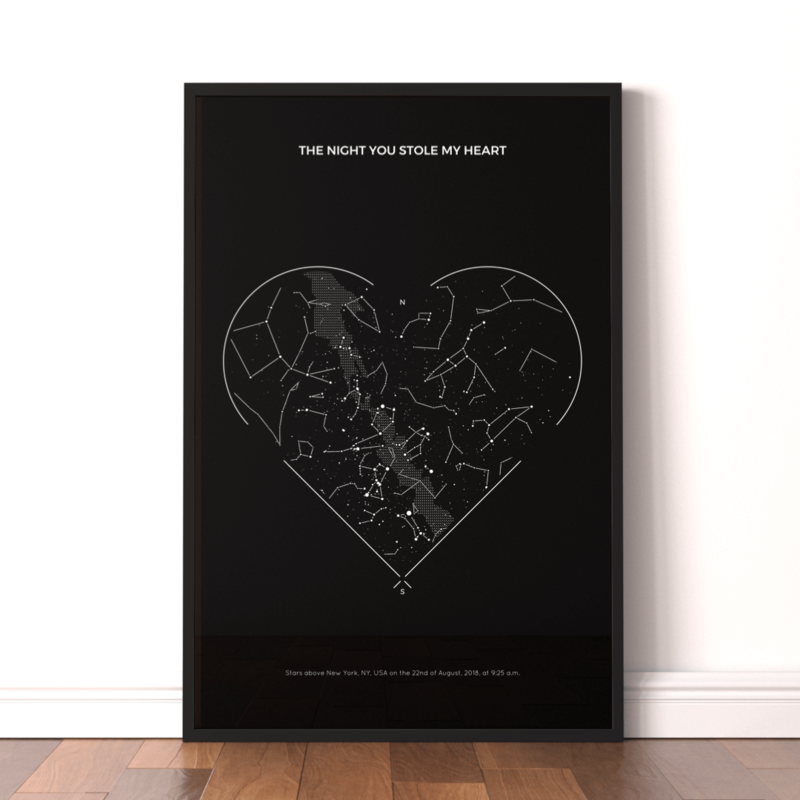 margiespage Our two year anniversary is coming up and this poster from @underluckystars reminded me of it. This is what the sky looked like on the exact day we got married!! How special is that? lil.lucky.star Who’s surprised we got each other the exact same gift  @underluckystars thank you for the beautiful prints! vivaaace having something that documents our relationship means so much to us. emiliedurck Thanks for making this long distance relationship so much easier!!!! brittanymang20 I love it! It's the perfect gift! wavesandlilacs 1. Valentine's Day is one of my favorite holidays hands down. 2. 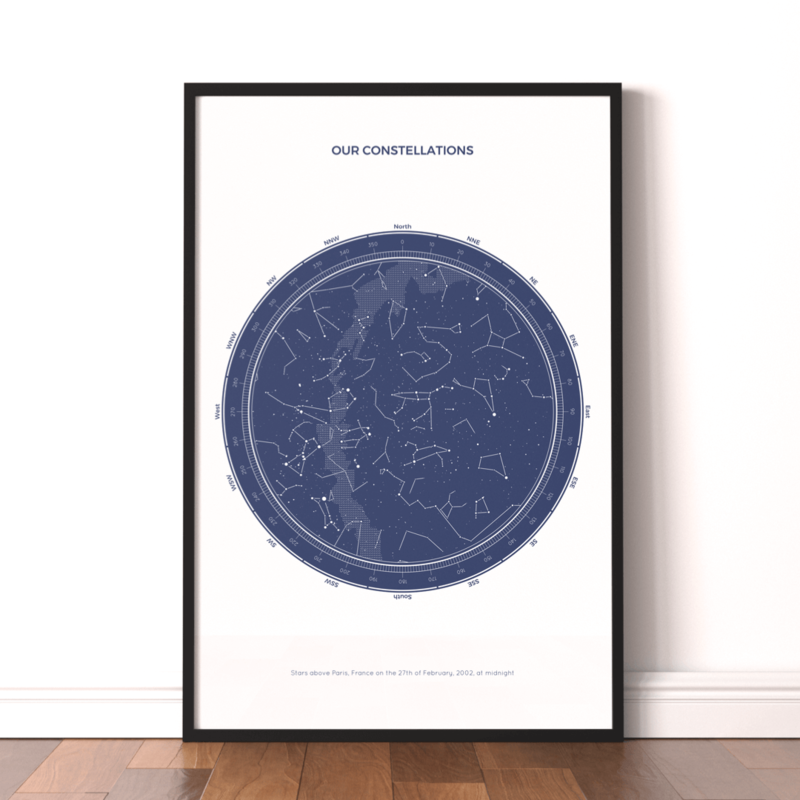 Surprising Jake with a map of the constellations from the day we were married from @underluckystars made it that much better this year. umnaamr For there is no better way to capture the beauty of the night we got married than by remembering how the stars looked down upon us. mkbhd Lowkey this is the nerdiest poster you will ever see. Shoutout to @underluckystars for some studio art. mylifebylexi We feel like the stars aligned the day we met, and so for this day I wanted to freeze the night sky forever. The most romantic flipping gift I’ve ever got him. Crisp resolution, impeccable printing quality. Depends on the size and the frame. Our smallest print (12 x 16 inches or 30 x 40 cm) starts at $45, shipping included. The product is the highest quality smooth art print on 240 GMS papers. We are very proud of it. You can design, preview and order your beautiful print on our website. Click here.